We offer valet parking after 4:00pm daily. The cost is $20 per car. We also validate @ the Parcel 7 garage near Haymarket Square. We are offering a special menu on SUNDAYS from 12:00pm-10:30pm, 2 courses for $25.00. "2 for $25 Sunday Special" Cantina Italiana will be offering a set menu on Sundays from Noon-10:30 pm. An appetizer and an entree all for $25 per person. An iconic tradition in Boston's "Little Italy", Cantina Italiana serves the tastes that make the North End famous. Started in 1931, Cantina Italiana is the oldest restaurant in the North End of Boston. 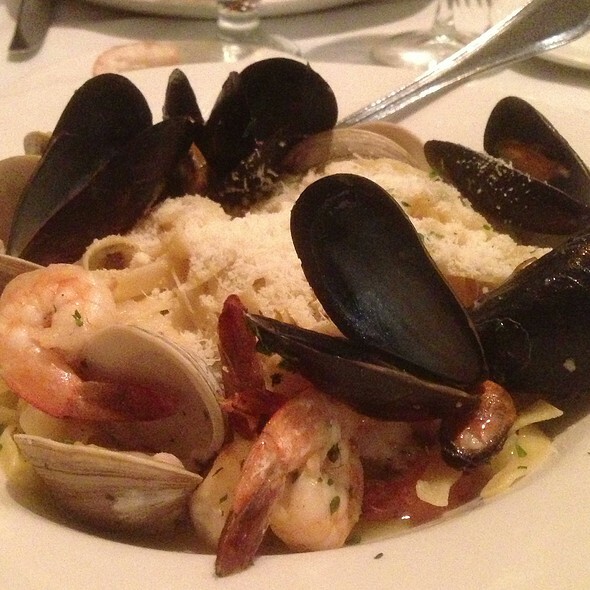 We boast over 80 years of tradition in providing the best in homestyle Italian American cuisine, the freshest New England seafood, and unparalleled service and experience. Cantina Italiana's warm and charming atmosphere gives our restaurant a relaxed setting to enjoy you meal amongst the most important parts of your dining and drink experience: family, friends, and of course...food! 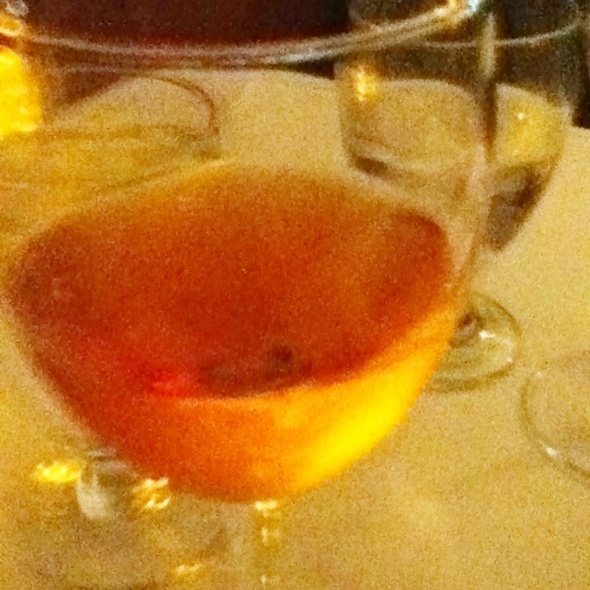 Enjoy and cheer among us as we would at home: Mangia, Beve, e Buona Salute! Join the North End's oldest restaurant in celebrating your Easter holiday. All weekend long we will be featuring flavors of the Campania region of Italy with traditional dishes of roast lamb, lamb ragú, seafood pastas, and the traditional handmade desserts! Full dinner menu also available. Full Bar. Food was ok. Service great. Fun Italian ambiance. Boston Marathon eve. Crowded, as expected, had reservations, but waited 45 minutes for a table. A bit noisy and no music in back area where we were seated. All staff were extremely polite and apologetic. Food was delicious! Spaghetti with little necks, chicken parmigiana and the Tiramisu was great. Enjoyed the Castello Banfi baby super Tuscan. Will return again on a less busy night! Excellent service and food. They were very busy since it was Patriots Day weekend and Marathon weekend, and a Red Sox game and a bruins game the same day we were there. But they handled it well. No delays and the food was great. Great atmosphere. Great service. Exceptional quality. Excellent food, cosy atmosphere, friendly staffs! We love this restaurant! Hopefully, we will be able to visit once again. We were observing lent so we had to order vegan dishes so they made us a custom made dish homemade fettuccini with olive oil and garlic tossed with broccoli asparagus spinach and mushroom and it was absolutely delicious! Reunion event. We each enjoyed our meal. 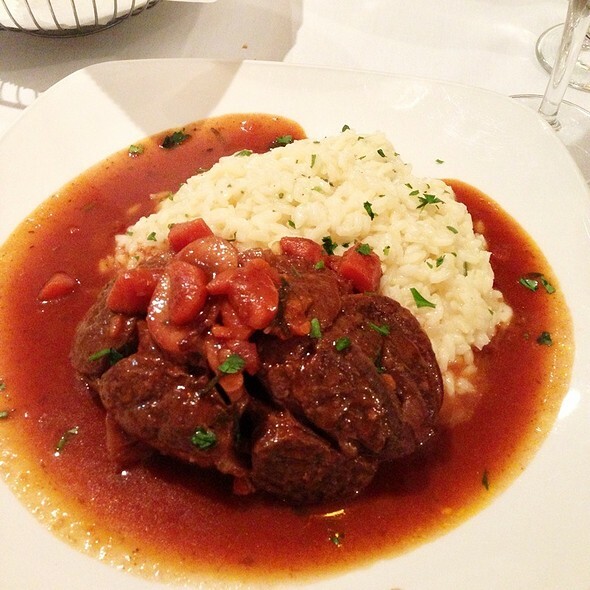 The food was excellent and the staff was very friendly and accommodating. Seated at 9:05 for an 8:30 reservation. Meal was very below average for the North End, seemed liked it came out of the microwave. Dirty glasses, stale bread. Our least favorite of many North End experiences unfortunately. Our waiter was great and attentive (the one positive in the experience). I had not been to the Cantina in some years but all my previous experience had been excellent so I was disappointed with my recent dinner. It was a mixed bag. The service was spotty, waiter did not take drink orders and then brought them half way through the meal. Several entrees in the party were very good but the evening special was strictly OK and the chicken saltimboca was over cooked. Definitely a "classic" restaurant. Family style Italian in a rather seasoned building. Having dined many times in the Northend I don't see the lure as the food was mediocre. Service was very good, however. Bad pretend Italian food prepared without any attention like many in this neighborhood.. Very friendly, familial atmosphere. Tight quarters but place at table to hang jackets. Waiter was very nice and attentive. 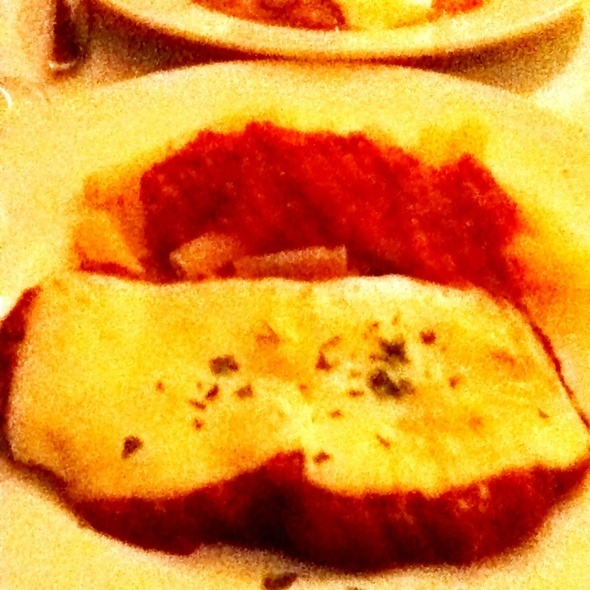 Food was outstanding and very authentic Italian. I wish I lived in this part of the country so I could return to try other items! I wanted to love Cantina Italiana as the reviews I read before booking the reservation seemed mostly good. Unfortunately, I was not happy with the meal. I thought the bread, arancini and caprese appetizers were wonderful. Actually, the arancini was phenomenal. However, the meal I got with chicken in a wine sauce has the chewiest chicken ever. I picked out all the chicken because it tasted inedible and gross. It's too bad because the host and waitress were extremely sweet. Staff is wonderful. Food is great. We had Omar as our waiter. He was well versed on the menu item, described the specials well; served, refilled, refreshed bread, came with olive oil, cheese, etc. lightening speed; and was just plain charming! We will be back and ask for him ahead of time next visit! Our family is Southern Italian and food items and ambiance was as close to grandma's as we could get!!! Each member of our party had the same comment. Fantastic meal! Incredible. Food was absolutely wonderful. Prego! We had the best experience here!! 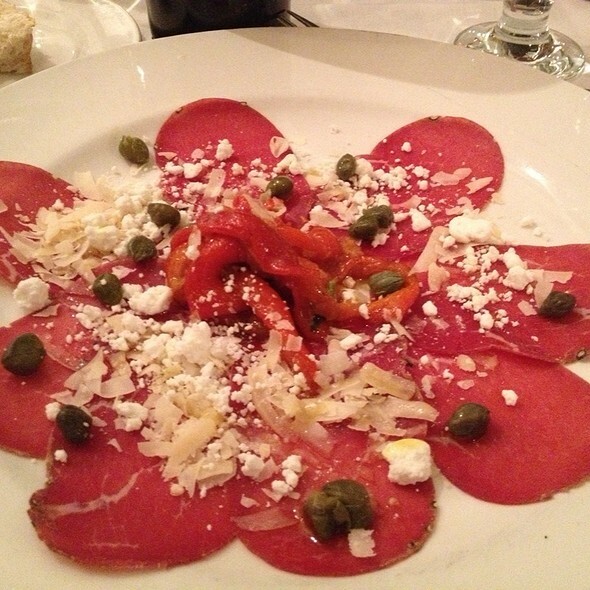 The food and the staff were very authentically Italian. The interior is not as fancy and upscale as some other restaurants in Boston, but the owner and staff seemed to all be family and it reminded us very much of the restaurants in Italy. They were very warm and welcoming!! I haven’t had a cannoli that good since I was in Sicily!! We will definitely go back the next time we’re in Boston!! Lovely people and excellent food. WHEN YOU GO THERE YOU FEEL LIKE FAMILY...From the warm welcome of the host, to the attentive wait staff. The food is also incredible! The food was delicious. The waiter was very attentive. Great evening good food and great service. Had a wonderful dinner there last night. Their sangria is one of the best I’ve had. We got the meat aracini to start which was phenomenal. I got the lasagna which I thoroughly enjoyed. Everyone at the table was very happy with their meals and I’d return in a heartbeat. First time eating here but won't be my last. Had reservations for 7 and sat down at 7:02. Our server was knowledgeable and attentive without hover or rushing us. Great food and friendly staff. pricing in line with others in the area. Never fails to disappoint. The Best Bolognese ever!! We love Cantina Italiana. It has lots of old school charm, while still providing new dishes. (For example, I was able to get a beautiful salmon and spinach dish so that I could stay on my diet while the rest of the family enjoyed a lot of pasta.) The food is fabulous and it is a place where you will immediately feel at home. Our server Omar provided exceptional service. We were here on a Sunday for this visit and on Sunday afternoons you will use the dinner menu. But, on Saturday afternoons they offer the lunch menu which is another great value. This is my favorite place in the North End. It was very nice. The owner is awesome !!! So friendly !! Food was great, will definitely be back. The wait staff were informal and engaging. The furniture and decor were haphazard and dated. The appetizer was tasty, the salad was fresh -- but unfortunately mine contained bits of plastic wrap. The entrees as a whole were well prepared -- a little salty -- but with a good balance. We sampled 3 dessert offerings: the cannoli was small but had subtle fruit flavors in the filling, the tiramisu and almond cakes were fresh and sizable portions. The wine list was pricey. Food was fantastic and service was spectacular. From the greeting at the door to the valet at the end of the night it was all such a great overall experience. I would absolutely visit again and recommend this place to anyone in the area. It’s also a short walk to Mikes Pastry’s if you’re interested! Very friendly and efficient staff. Our waiter Michael was quite knowledgeable on the menu and we were happy we took his recommendations for the appetizer and entrees. This place is extremely popular, and it does a good job for what it is it. Olde school Italian. 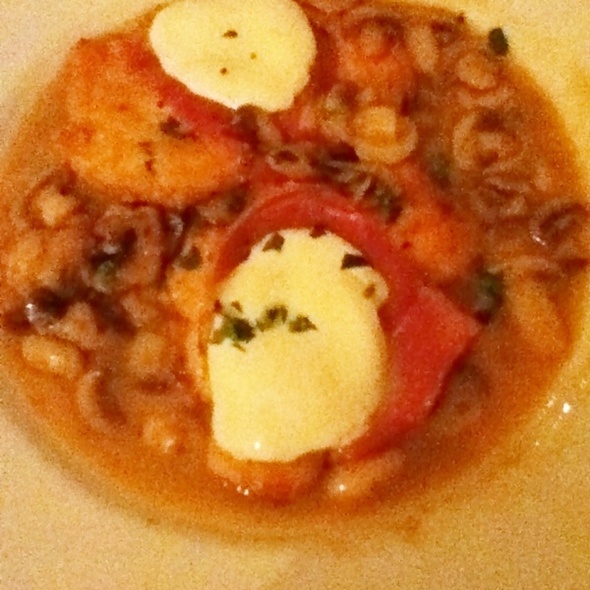 Think huge portions and solid, if not refined even a hint of a modern twist, Italian food. 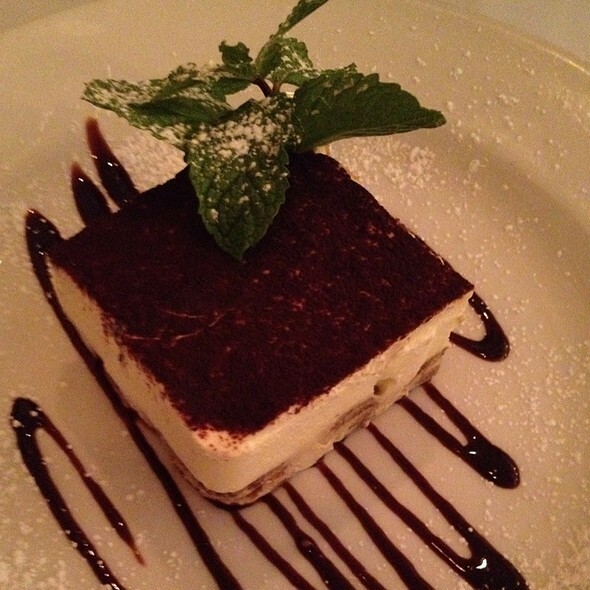 If you're looking for an exceptional Italian restaurant in Boston's North End, the Cantina doe not disappoint! 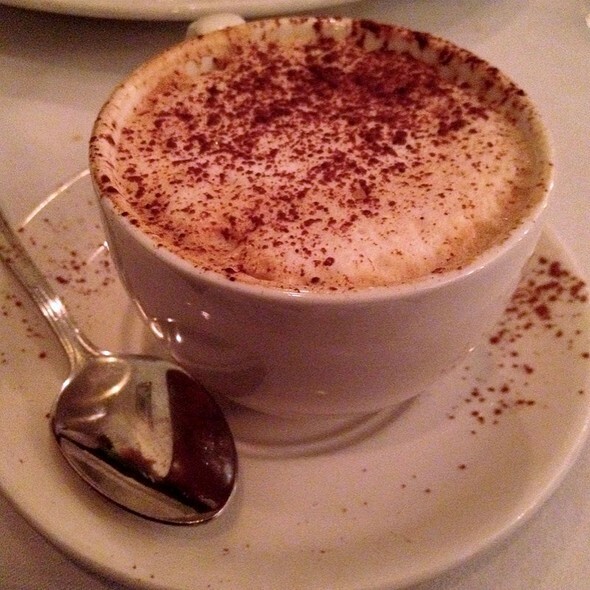 I was first introduced to the Cantina more than 30 years ago, and it has always delivered exquisite authentic Italian with excellent service. A true gem. My favorite North End eatery, hands down! I've been several times. Absolutely incredible food and service each visit. The staff was very welcoming and made you feel as though you were coming to eat at their home. We were seated at the tables across from the bar instead of the main dining room and it was very loud with a table of eight seated behind us. The appetizer of caprese was only four tomato slices with a slice of mozzarella on each - for $14 it felt overpriced. The tortellini and prosciutto was very good as was the sausage and pasta my daughter got. 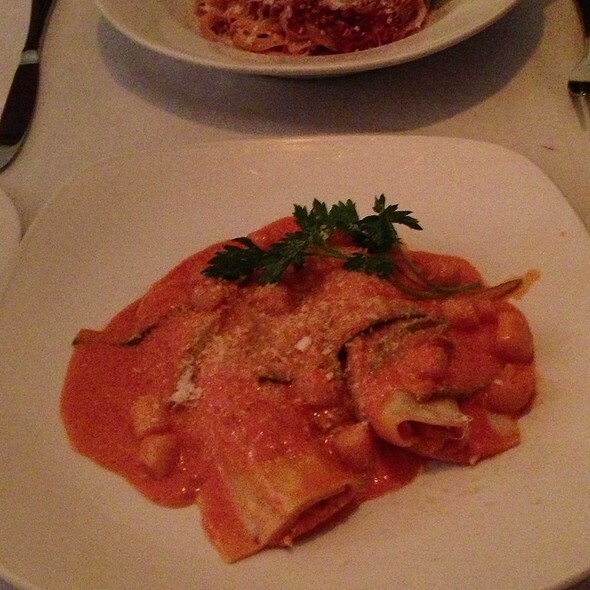 My husband got veal manicotti and was not pleased. It was ground veal and he got several bones in it. Our waiter was very enthusiastic and knowledgeable.